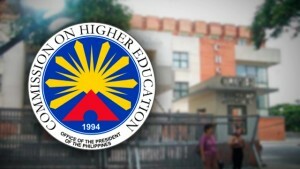 CHED or the Commission on Higher Education has allowed 313 private Higher Education Institutions (pHEIs) to increase school fees and tuition this Tuesday, May 19, 2015. This will be for the 2015-2016 school year. According to Patricia Licuanan, Chairperson of CHED, 283 of the 313 pHEIs(16%) will be increasing tuition. Likewise, 212 pHEIs(12.6%) will be increasing their school fees. She also further stated that the average increase across all regions is 6.48%. Broken down, this number was reached from the 6.17% average tuition increase and 6.55% school fees increase. This 6.17% tuition fee increase amounts to around Php 29.86/unit and the 6.55% school fees increase is approximately Php 135.6. Licuanan also explained that this increase is lower than last schoolyear’s 8.13% hike for tuition and 7.97% hike for school fees. Furthermore, she also stated that there were no increases in Regions II, V, VII and X. Likewise, CHED didn’t approve any hike in the Yolanda ravaged region, Region VIII. In an interview with CHED Executive Director Julito Vitriolo, he said that the hike was necessary due to inflation and the continued need for improved facilities in schools as well as teacher’s wages. CHED has already prepared financial assistance by reserving Php 1.5 billion which is set for 123,882 Student Financial Assistance Programs (StuFAPs) slots. Licuanan adds that this is thrice the number of slots that were available last year. StuFAP is a program of the government that is managed by CHED which aims to help deserving students in both public and private schools. Another program that CHED is waiting on is the UniFAST Bill or Unified Student Financial Assistance System for Higher and Technical Education. The said bill has already passed the Ssecond reading in the upper house. There isn’t a published list of schools yet but Mr. Vitriolo promises to have them up on their website soon. Terry Ridon, Kabataan Partylist Rep, however, is pressing CHED to release the list as soon as possible as parents and students also need to prepare for it.